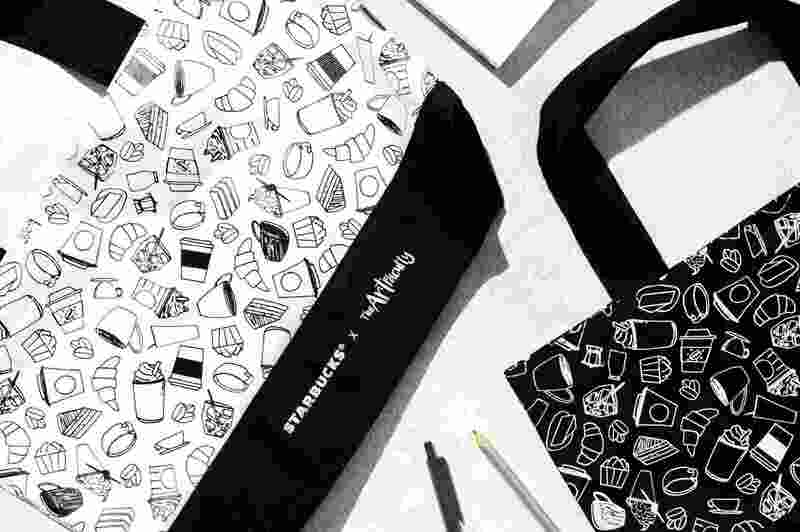 2019 has been a good year for Starbucks merch collectors so far, with a slew of new Starbucks products released just 4 months in. From adorable lanyards to pretty pink tumblers and pastel mugs, there’s no stopping the coffee chain giant from winning our hearts, and our money. 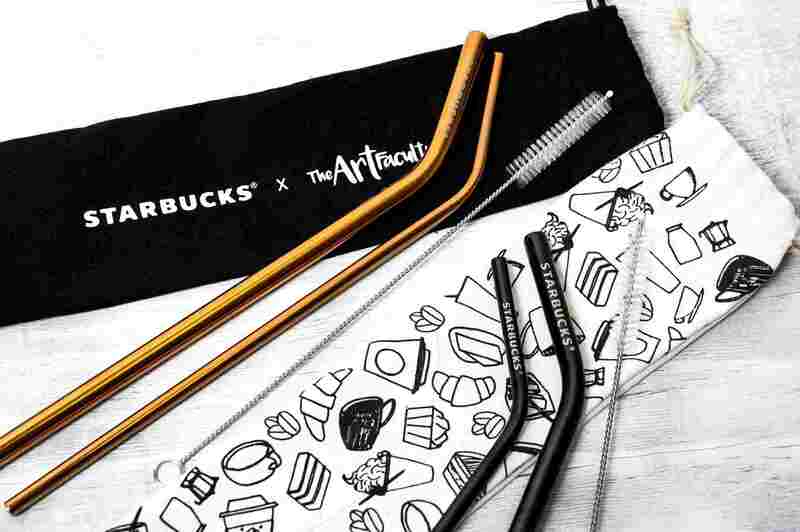 On Monday (15 Apr), Starbucks announced their latest collaboration with the Autism Resource Centre Singapore/Pathlight School (ARC), selling chic tote bags and shiny metal straw sets in support of people with autism. 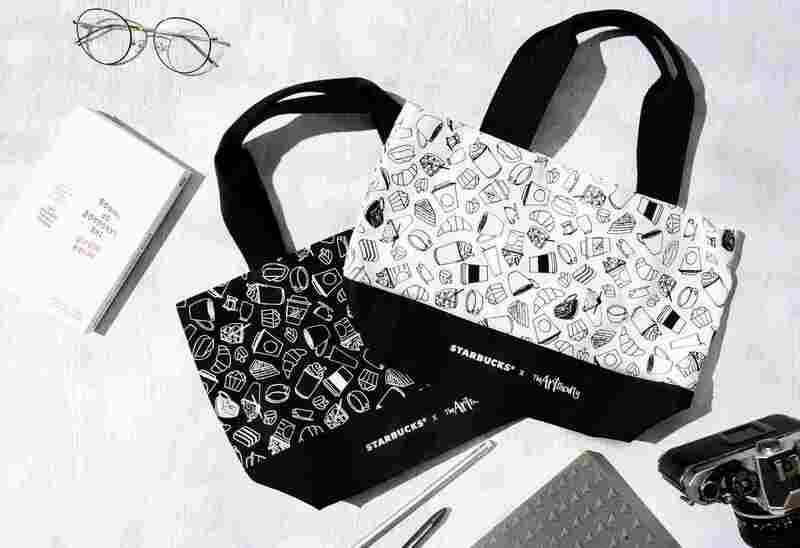 The tote bags from the collection come in chic black and white colours perfect for office workers to bring their barang barang around during lunch. 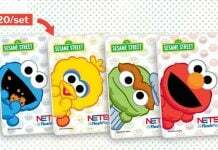 Each of these bags are retailing at $16.90 each. 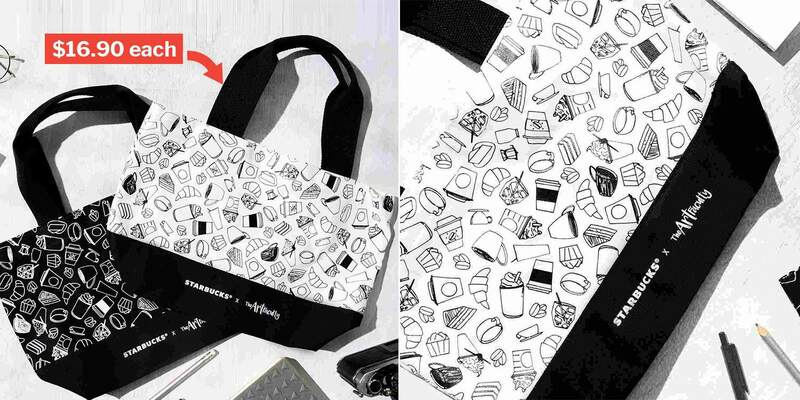 Take a closer look and you can see intricate motifs of Starbucks frappes, croissants and cupcakes coming together for a casual yet classy look. Eco-conscious folks can also get metal straws from the collection to fight the war against single-use plastics. The stainless steel straw sets are going for $12.90 each and come in 2 classic colours – black and gold. 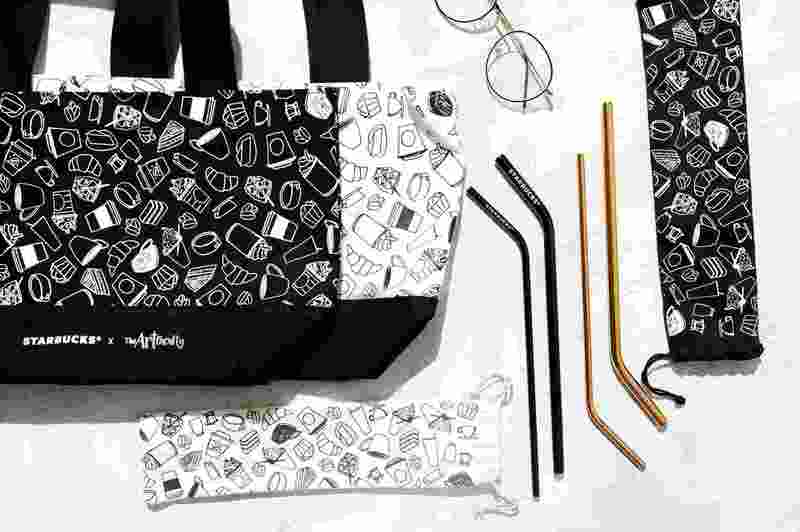 Each straw set also consists of a cleaning brush and pouch which has the same design as the tote bags. The Art Faculty commemorates the abilities of those with autism. With this latest collaboration, artists will earn royalties with every purchase. A further $5 will also be donated to ARC with every product sold. So if you’re a Starbucks merch collector, do head down ASAP to your nearest Starbucks outlet to get your hands on the latest merch, and do good at the same time! Featured image from Starbucks on Facebook and Facebook.